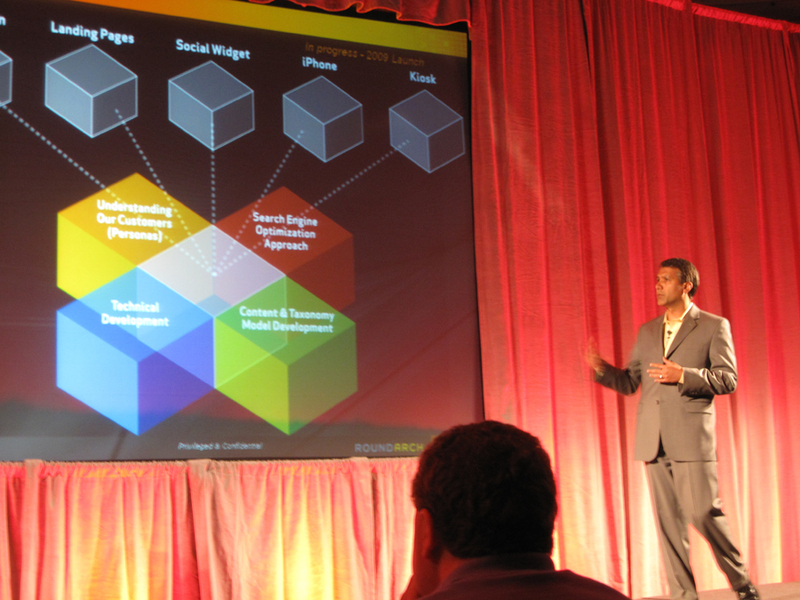 Aman Datta, Vice President of Roundarch, and John Peebles, Vice President Online Marketing at Avis Budget Group, were keynote presenters at the Autonomy Interwoven GearUp 2009 Executive Briefing Roadshow in New York City this past Monday (4.27). Roundarch is a Platinum Partner of Interwoven and this event gave us the opportunity to share the Avis innovations with Autonomy and Interwoven executives, customers, and other partners. The presentation entitled “Driving Next Generation Solutions at Avis” explained how Roundarch and Avis used Interwoven solutions throughout the Avis project to develop an entirely new way to experience the car rental reservation process. Roundarch developed a multi-channel approach for Avis and three components of this approach were showcased in the presentation. 1. Avis.com – This was a full site redesign. Based on strategic research, Roundarch developed a new user experience and design that evolves the entire online car rental experience. 2. Site Extensions – This is a concept Roundarch has developed as a way to leverage the Avis.com site experience and extend the reach of Avis to partner sites and other sites on the Web. It is developed in Adobe Flex and is one of many innovations that Roundarch and Avis are bringing to the travel market. This site extension can be found at www.rentacar.com as well as on Air New Zealand. 3. iPhone app – Responding to customer needs to rent cars on the go, Roundarch saw a demand for the development of an Avis iPhone application as part of the overall strategy. 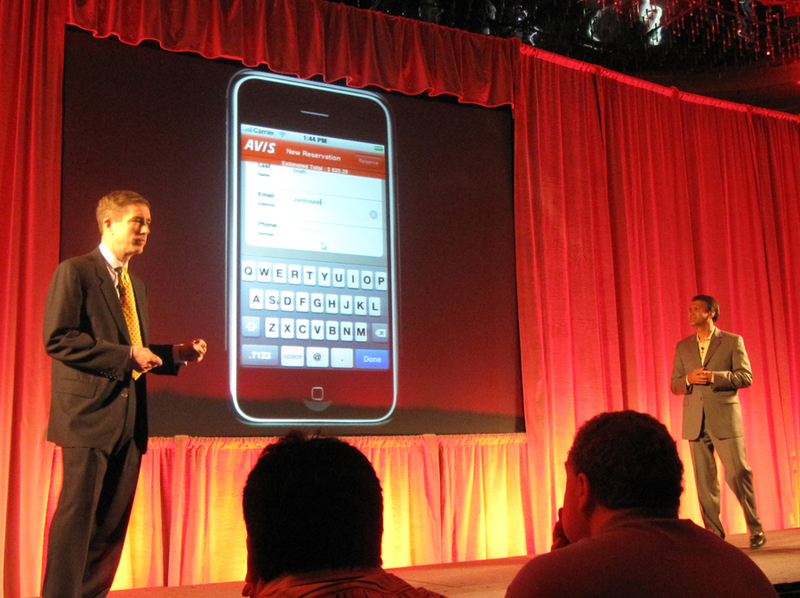 Avis is the first car rental company to release a fully integrated mobile application. The key goal of this multi-channel approach is to allow customers to perform a full service reservation process from multiple digital points. The project was not just about redesigning the website, but thinking about the entire reservation process in a whole new way. 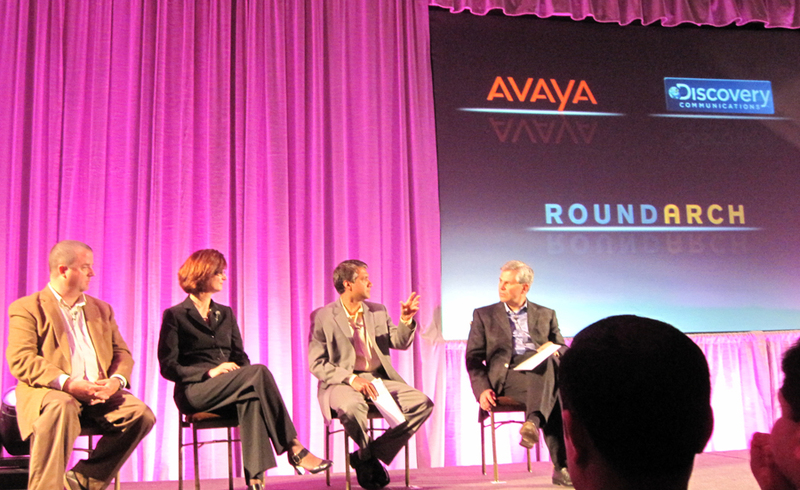 Later in the day, Datta also participated in a panel discussion with Renee Rodgers, Senior Director of Interactive at Avaya and Patrick Gardella, Senior Director Interactive Architecture for Discovery Communications that was led by Anthony Bettencourt, CEO, Autonomy Interwoven. The discussion covered the future trends of the Web and how Autonomy Interwoven’s solutions are working to capitalize on these Web trends for clients such as Avis. GearUp 2009 Executive Briefing Roadshow is currently touring 5 cities across the globe. Additional photos of the event. Photos of the iPhone application.